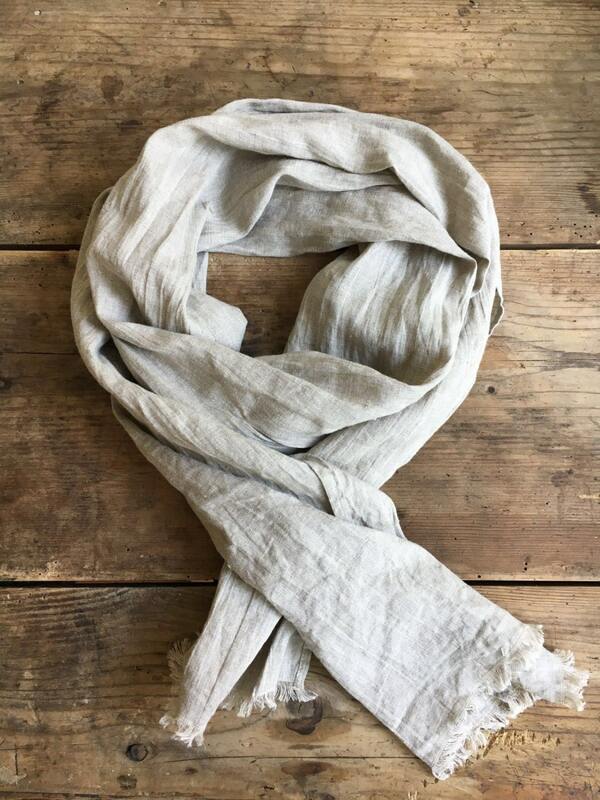 This is a lovely light linen scarf made from 100% pure linen. 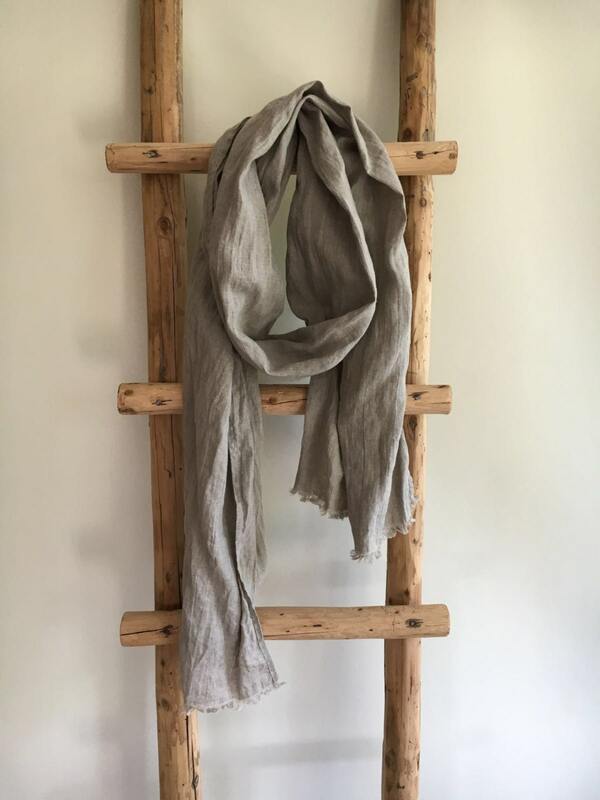 The color is between light grey and brown - known also as taupe. 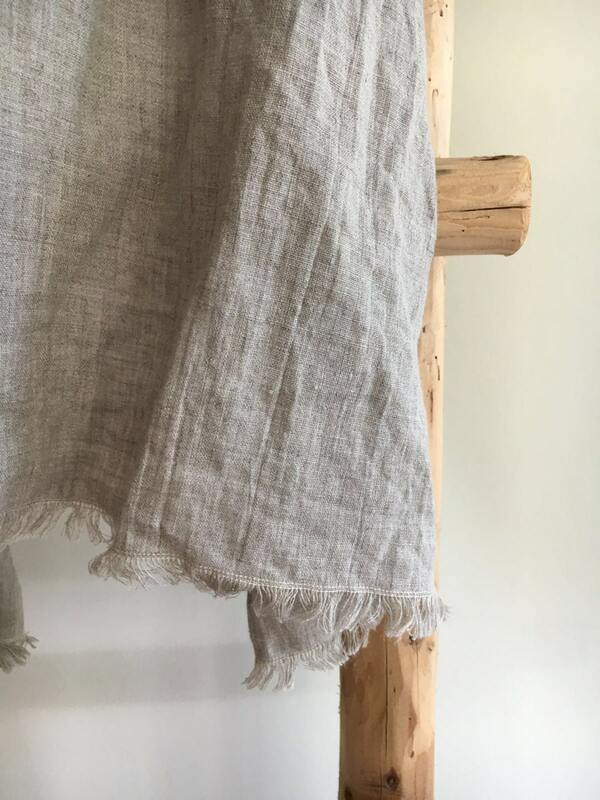 It is the color of natural, un-dyed linen. 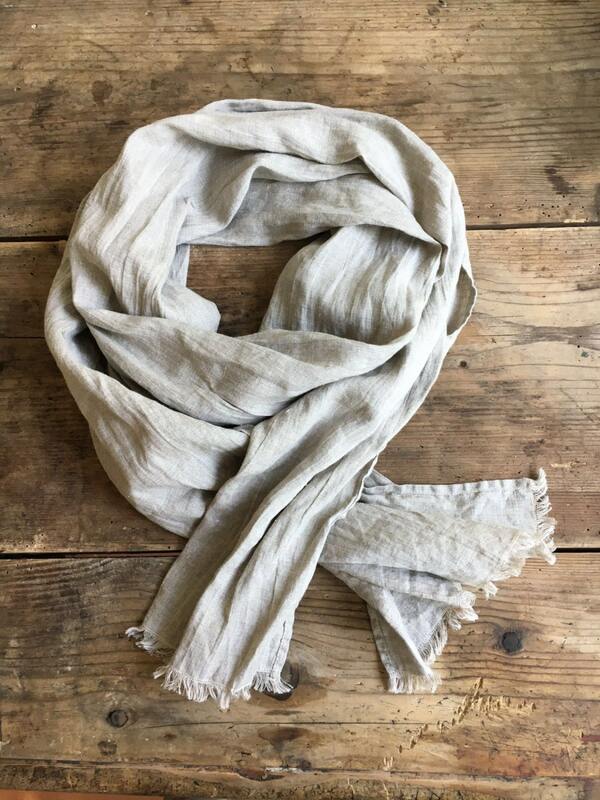 A very nice tone that will match beautifully other earthy and grounded colors in your outfit.